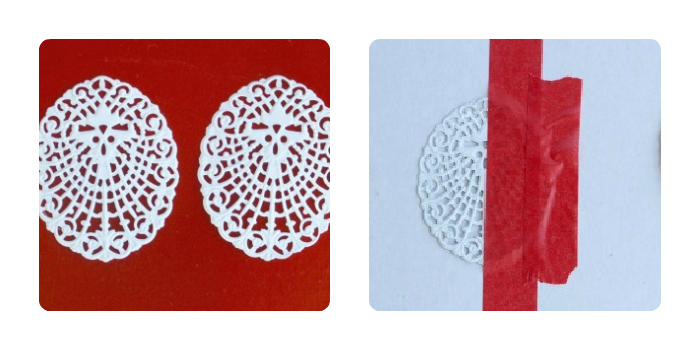 Back in the Summer, Kadie from Seven Alive shared a great tutorial for making Patriotic Filigree Earrings. 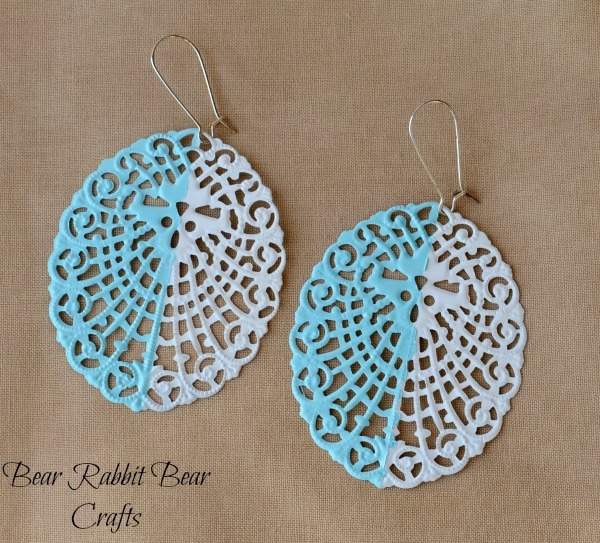 I liked how she sectioned off the earrings to create a color-block look for the Fourth of July, so when I needed to make a pair of earrings for a gift, I went right to her tutorial and made a set for a friend. Her tutorial is pretty straightforward: paint, tape, paint- but be sure to visit it for step-by-step directions. 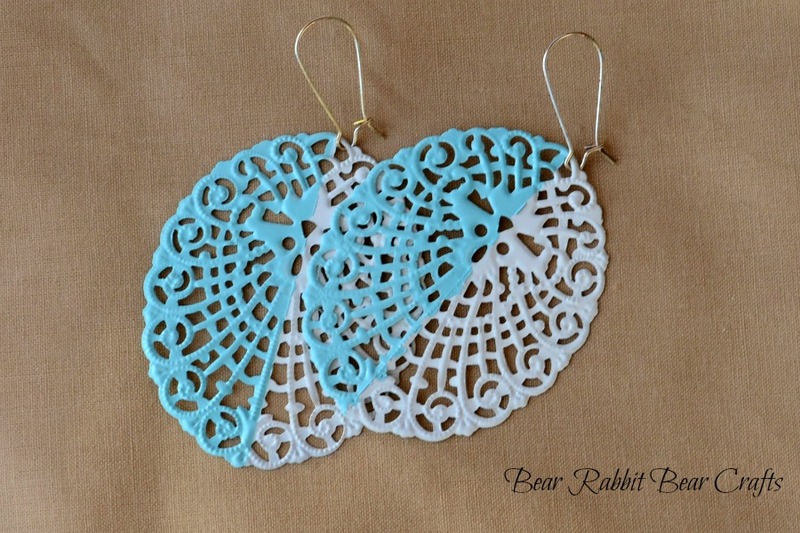 I made my earrings with only two colors: white and turquoise. I used the white as the base color, and then taped one half while painting the other half. Simple! I may link this post to these parties. What a simple way to change the look! I love it… lots. These colors are so pretty together…. This is so pretty! Would love if if you linked up on my blog hop http://www.w-t-fab.com/search/label/bloghop. Also let me know if you’d like to follow each other! Pretty and unexpected. Thanks for sharing on BeColorful. Very cute! I love the blue you chose. Thanks for linking up to tip-toe thru tuesday. I hope we see you again this week!